Old farm house that has been completely modernized! You are going to love the charm of this updated farm home! This 3 bed and 1.5 bath home has undergone a complete remodel and is chalked full of elegant upgrades. New siding, new metal roof, new flooring, new garage, new lighting, new windows, and new kitchen just to name a few. Located just about a mile from State Road 13 this location provides easy access to highways and the toll road. 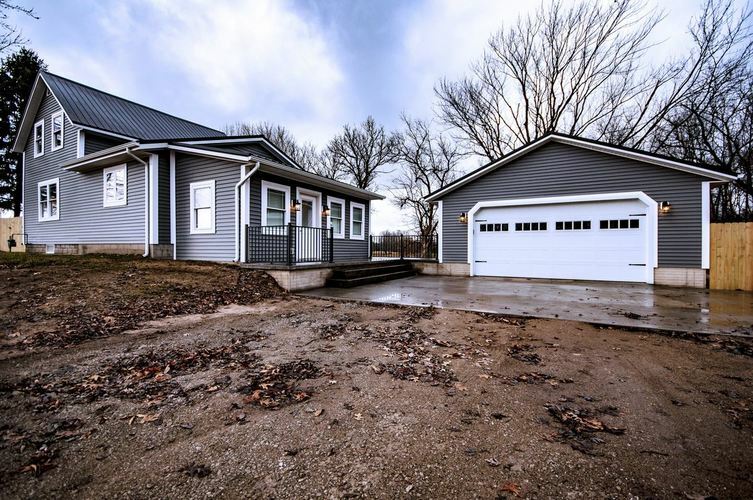 This home features an open floor plan on the main level, two large mudrooms, and a stamped concrete patio. Schedule a showing today! Directions:Property is on the North side of State Road 120 about 2 miles east of sr 13.